The drought is officially over in California but the cost of water is more expensive than ever. Water districts continue to increase both their rates and the restrictions on waste water content. Some companies are required to haul waste water offsite which is very expensive. Clearly, reductions in water usage will directly affect the bottom line and is a cost center that should be managed closely. The first step is to determine how much is being spent monthly for both the supply and disposal of water. Next review your cleaning processes and identify the areas where the most water usage occurs. Remember, slight adjustments on these process or the use of specialty tools and accessories can provide significant changes to the amount of water used to clean. 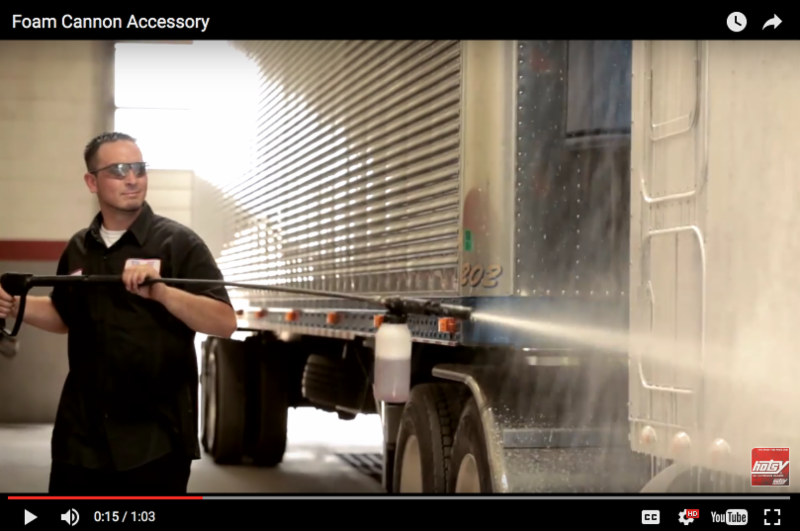 Click the button below to watch videos showing accessories in action! We have a lot of cool new things happening around the shop this month! We continue to refine our customer service department and are working on internal systems to provide our techs more information in the field.